Ryan Reynolds and Hugh Jackman’s rivalry is fast approaching Jimmy Kimmel-Matt Damon status. It’s slightly less mainstream, but these two have been “sparring” online for years, conveniently timed around the promotion of their respective projects. And after Hugh cozily posed with Emily Blunt at Variety’s Actors on Actors photocall a few days ago, John Krasinski is jumping into the chirping mix too. Then Ryan tweeted that Hugh “must be stopped” which, of course, is only meant to give Hugh’s campaign more fuel. 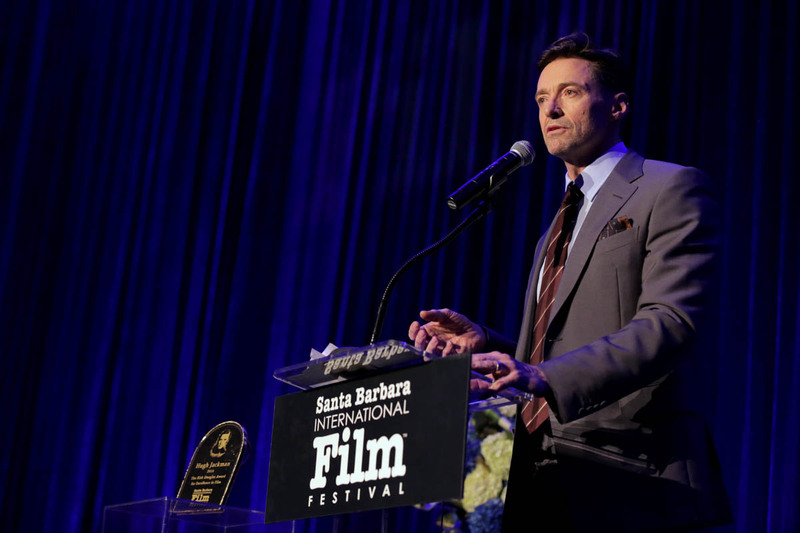 Hugh addressed this budding “feud” at least twice at his Santa Barbara International Film Festival Kirk Douglas Award honour last night. First, he told the Santa Barbara house camera that John would be the more formidable physical opponent of the two. Deb: "Ryan, you've already started fighting Ryan." Hugh: "Yeah, you know Ryan and I, we duke it out a lot. I have this funny feeling that John Krasinski is a complete badass who could take Ryan and myself down. We pretend to do the superhero thing, but I don't know, the whole Jack Ryan of it all, I think he could challenge me." Then, he told Variety John should watch his back, because “I’m really creating all these feuds… This mister nice guy image is over". Is it really over though? 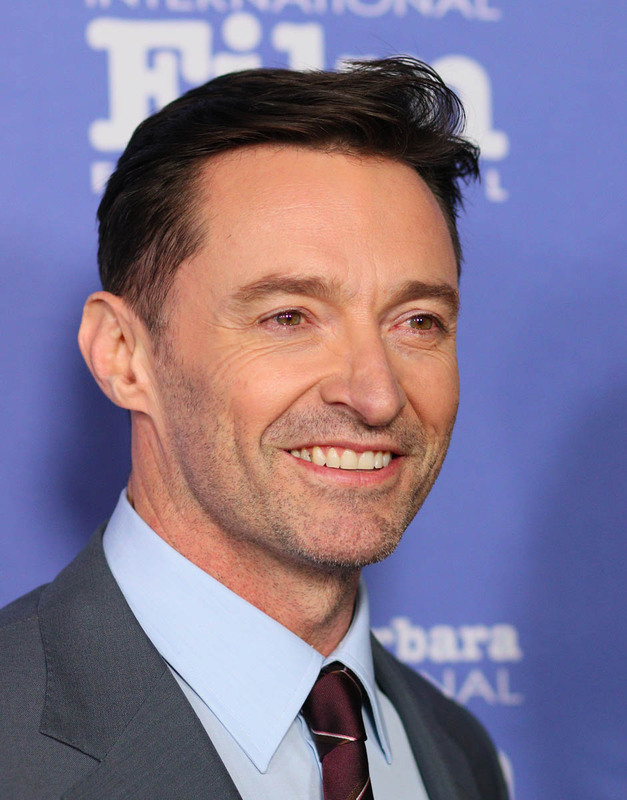 Hugh’s Mr. Nice Guy image is so prominent and in your face because that’s exactly and actually who he is. 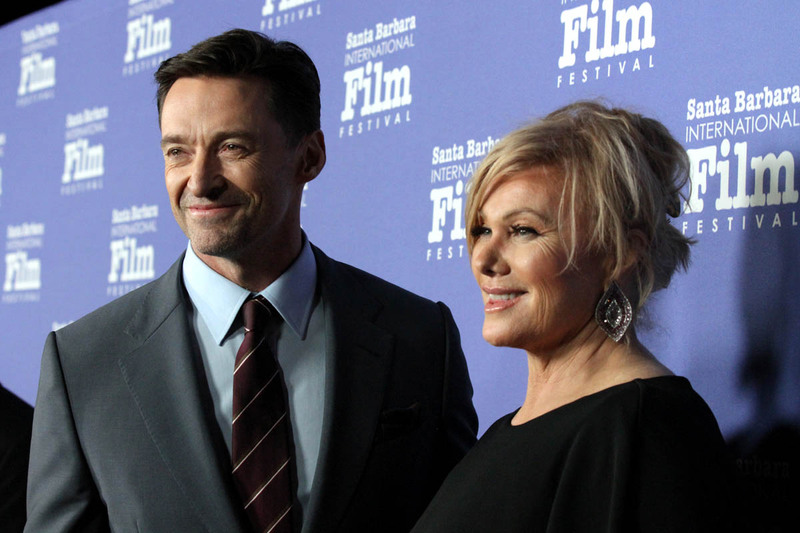 Part of the reason why his performance in The Front Runner works is because his portrayal of Gary Hart skewers his beloved Greatest Showman image. According to Jason Reitman, this contrast played a big role in Hugh’s casting as well. For about a month, Lainey’s been writing about the Best Actor "due game", comparing the odds of people like Ethan Hawke, Viggo Mortensen, Bradley Cooper, and Willem Dafoe in a very competitive category. 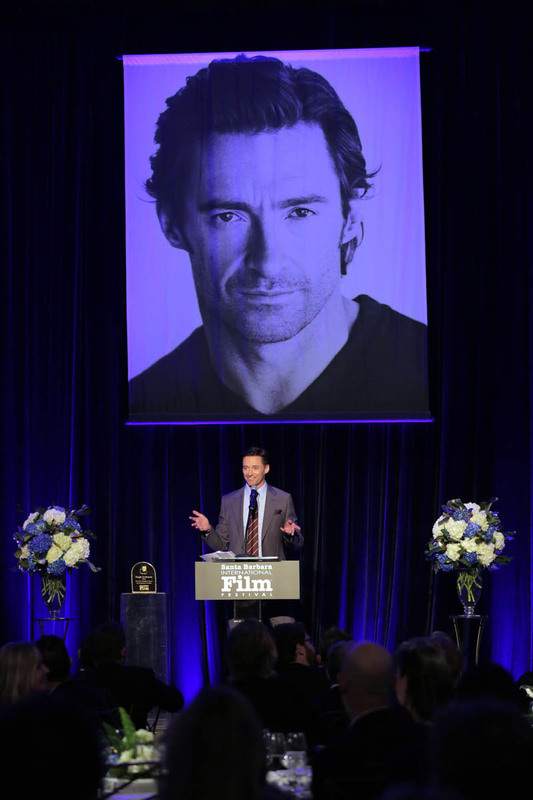 But among that selection, perhaps nobody is getting more help from their "friends" than Hugh Jackman. Plus, since Christian Bale and Viggo are competing in the comedy category for Vice and Green Book respectively (possibly against Ryan, who got nominated for the first Deadpool), Hugh still has a shot at the four or five spot at the Golden Globes. He’s fighting for that spot, and for the headlines. Obviously he was at the Governors Awards over the weekend as well, like anybody else trying to win favour with the Academy, and show appreciation for the love of the work. Hugh's ongoing (faux) Ryan Reynolds rivalry, complete with The Front Runner ad campaign-slash-attack ad, is getting continuous coverage from outlets like Variety, E! News, and People. It’s funny. 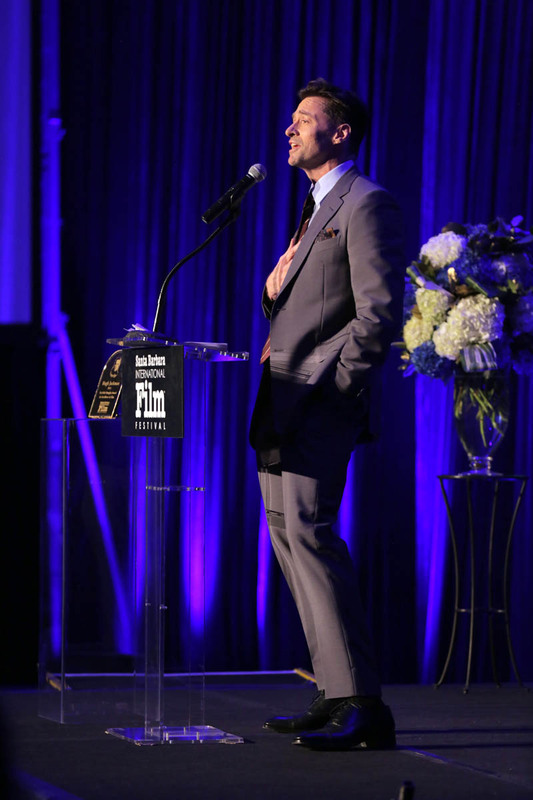 He’s leaning in to it, as is SBIFF. His Deadpool cameo was prominently featured in Hugh's tribute opening montage, and the festival’s official account tagged Ryan in their Instastory. I think Hugh's eagerness to play along and lampoon his "image" only helps his profile. 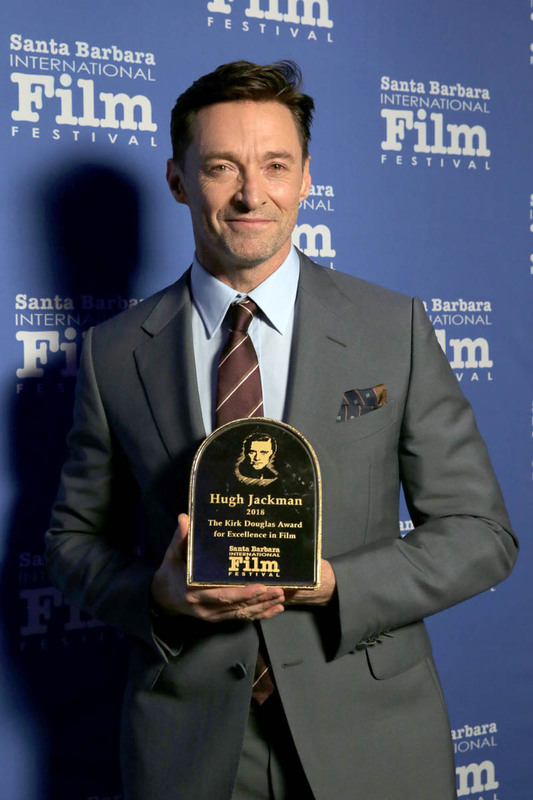 His performance in The Front Runner is unexpected, and while Sarah, Lainey, and I agree the movie isn't super memorable, Hugh and his friends sure are doing what they can to keep his name in the press before it expands even wider tomorrow. If you're an HFPA member, this comradery, faux or otherwise, is exactly what you're looking to liven up the race and the show. 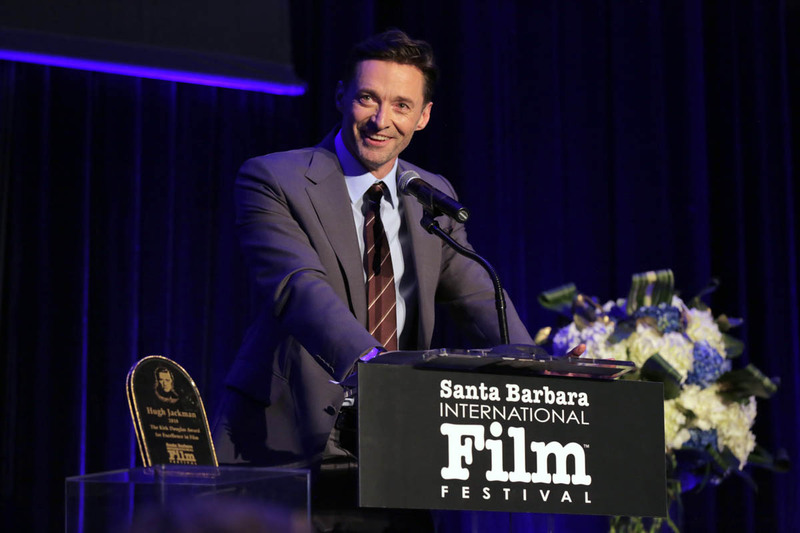 Bradley and Rami have also spoken at SBIFF over the past few months, Rami just a few days back, but Hugh's appearance is the one getting attention, both for his wildfire support, or for his nearly teary tribute to his wife, Deb. 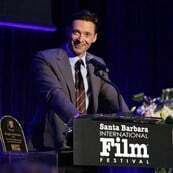 Hugh's also proving his eagerness to honour Hollywood history, by meeting with Kirk and Anne Douglas earlier that morning for tea... and posting about it. 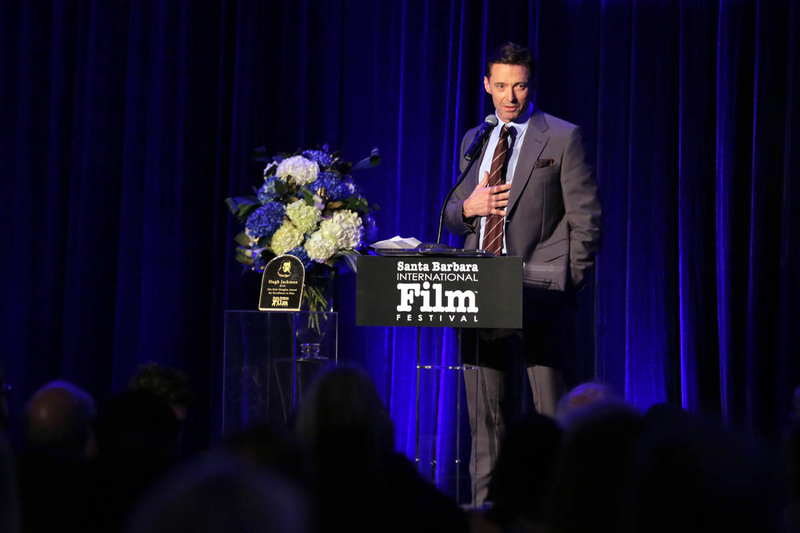 At the very least, this joshing and schmoozing is a great profile boost for Hugh before Thanksgiving, which happens to coincide with the day before Globe ballots are mailed out on the 21st. Bradley Cooper is apparently sending out personally autographed cards with the Star is Born screeners to Critics Choice members. It's a nice touch, though not necessary as everyone knows it's sweeping there. It’s not like A Star is Born needs it, but in this busy season and crowded race, every little bit helps, and Hugh’s not backing down. PS: Not that anybody’s asking, but I’m rooting for Ethan Hawke.